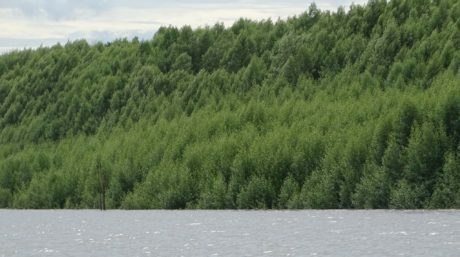 The initiative “Building with Nature Indonesia” aims to build stable coastlines with reduced erosion risk through a unique integration of mangrove restoration, small scale hard-engineering and sustainable land use. In doing so we enhance coastal security for 70.000 vulnerable people by avoiding further coastal flooding and erosion in Central Java and provide them with a long term perspective for sustainable economic development. 30 Million people suffer from coastal flooding and erosion hazards in Northern Java, affecting 3000 villages. 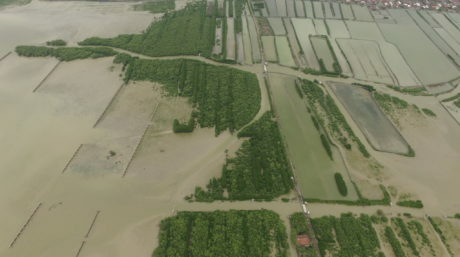 The problems largely result from the removal of mangrove belts for aquaculture development, unsustainable coastal infrastructure, and groundwater extraction. In some places more than 3 km of land have already been taken by the sea and entire villages have been swallowed. Many people experience a major loss in income, reaching up to 60-80% in some villages. Also the agri- and aquaculture sectors, key economic engines in Indonesia, suffer multi-billion losses. The five-year programme will focus on the shoreline in Demak where sea level rise is projected to cause flooding 6km inland by 2100, inundating 14,700 hectares affecting over 70,000 people and the loss of 6000 hectares of aquaculture ponds. 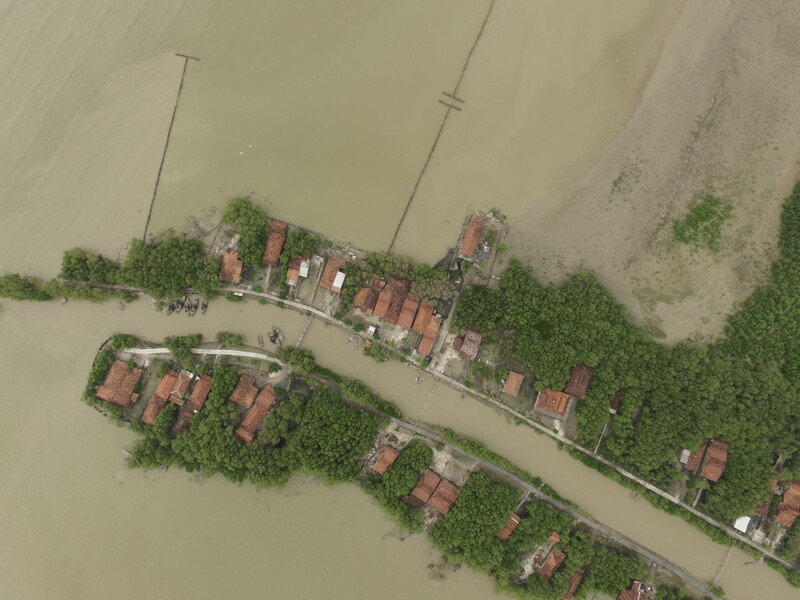 The partners aim for replication and scaling up of the Building with Mangroves approach to other rural and urban areas in Indonesia and other vulnerable muddy coastlines in the world, including through capacity building, knowledge exchange and embedding in policies and planning. The initiative is the leading international case of the “Building with Nature Innovation program” and is strongly supported by the Indonesian government and local communities. The Building with Nature public-private partnership aims to promote sustainable coastal engineering approaches that make use of the natural protection provided by ecosystems like mangroves, and salt marsh habitats. It represents the transition of traditional infrastructure designs that typically fight against nature, towards solutions that work with and alongside nature, which are often more cost-effective, while bringing more prosperity to the local economy such as through enhanced fisheries and carbon storage. 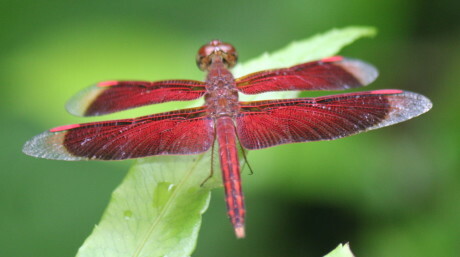 “Building with Nature Indonesia” is supported by the Dutch Sustainable Water Fund, The Federal Ministry for the Environment, Nature Conservation, Building and Nuclear Safety (BMUB) as part of the International Climate Initiative (IKI), Waterloo Foundation, Otter Foundation, Topconsortia for Knowledge and Innovation, and Mangroves for the Future. Project partners are committed to drive the current Building with Nature innovation trajectory, by demonstrating the approach in a case study site in Demak. Successful implementation requires in-depth system understanding, extensive stakeholder engagement, and adaptive management on the basis of monitoring and evaluation. We stimulate and support upscaling of the approach by disseminating knowledge, lessons learned and implementation guidance. Stakeholders interested to replicate our approach are strongly recommended to adhere to this guidance and bear full responsibility for the success and sustainability of the approach.